Covered ceramic baking dish is ideal for preparing main dishes and entrees. 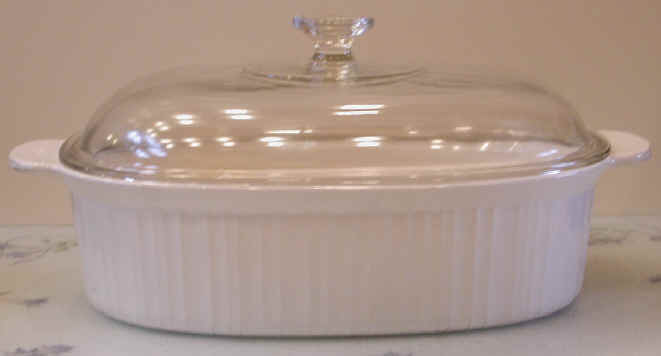 This is a photo of a large microwavable ceramic baking dish that is ideal for preparing main dishes in either a microwave or conventional oven. We also have several smaller sizes for side dishes and leftovers.